The internal LiU “Climate Workshop” network thinks that LiU should direct its funds away from investments in fossil fuel energy. And LiU is open to discussion on ‘divestment’. And LiU is open to discussion on the issue. 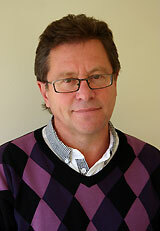 University Council member Göran Hessling is the person primarily responsible for the ongoing operations in LiUS, Linköping University’s jointly administered funds. “Today, the Fossil Free movement is an active operation with roots among both students and – as is currently the case – among teachers and others. An even more challenging perspective is the UN’s 17 new overall sustainability goals and their future application. On a general level, it’s clear that this must be met with involvement from the various parts of the university. As regards the involvement of the Thematic Studies departments in the Climate Workshop, Mr Hessling believes they should be able to conduct efforts in a true interdisciplinary spirit. The funds LiU has at its disposal are not owned by the University but by 13 funds: LiUS, Linköping University’s jointly administered funds. Administration and use of the funds’ capital is governed both by the donation documents and by the investment policy decided on by the University Board. Currently, the aggregate capital totals 56 million SEK, primarily divided among a handful of what are called ‘index funds’. 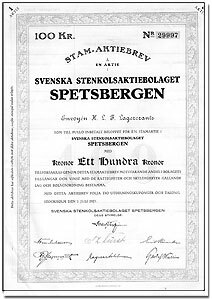 This makes LiU a very small player compared, for example, to Stockholm University (180 million), the Swedish University of Agricultural Sciences (350 million), KTH Royal Institute of Technology (650 million), Karolinska Institutet (1.6 billion), Lund University (3 billion) and Uppsala University (10 billion). “Fund management of this type is generally marked by an overall principle of conservatism, and fundamental respect for the donors’ regulations. The capital is ‘eternal’ and does not constitute any risk capital for uncertain investments,” Mr Hessling explains. LiUS will initiate a review of the investment policy from 2012, which is the valid one right now.